While roaming through Target yesterday, I spotted a sign I couldn't mistake - Julius the Monkey. WHAT? 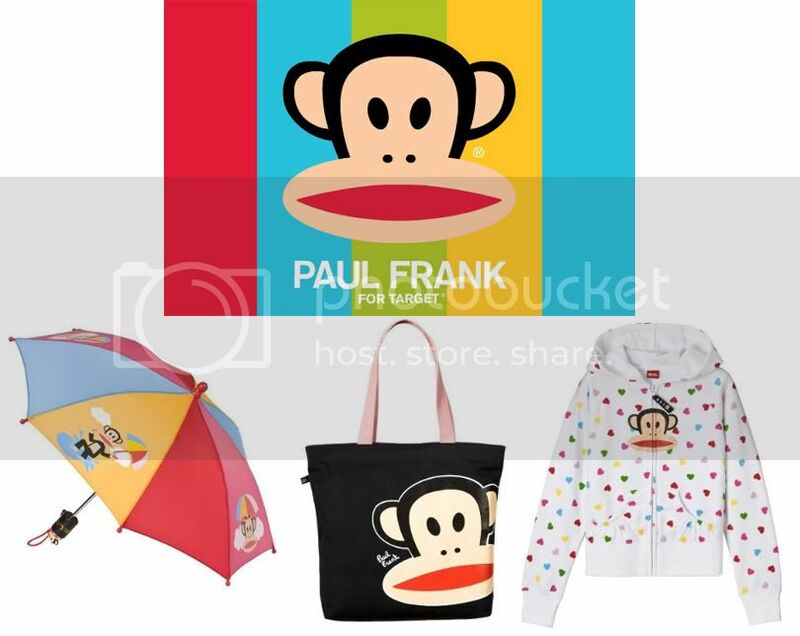 Paul Frank for Target? Of course - everyone's working for Target. Since Target's selection of Paul Frank merchandise is currently limited to children items, there isn't much for adults, however I LOVE this tote bag - perfect for any hipster bridal party. And if you have little ones in your wedding party, this umbrella is a great gift, especially if you're getting married outdoors. How fun would it be in photos just in case the rain plan goes into effect? I LOVEEEEE Julius the monkey! I want that umbrella for some of my sessions. The bag would hold my laptop..... Yay! Note to self: Target trip TODAY! Cute! My girls would love that umbrella!